Shanghai Sculpture Park, in Sheshan, is launching a helicopter sightseeing service at the beginning of September. SONGJIANG District’s Sheshan area has been famed for its beautiful hill. The scene is already a treat to the eyes on the ground, but what about a bird’s-eye view from the sky? 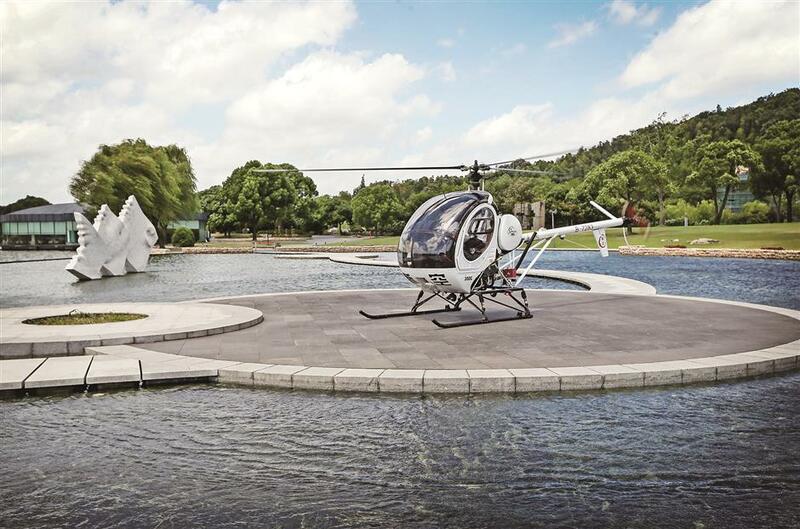 Shanghai Sculpture Park, in Sheshan, is launching a helicopter sightseeing service at the beginning of this month to provide visitors a different angle to the beauty of the suburban area. The route has two serving helicopters — a small model, Sikorsky S-300C and a bigger and more luxurious model, Bell 429. The helicopter flight will start the journey from the park’s gallery before it flies around in a three kilometer diameter at a height under 200 meters. The journey will cover not only the Sculpture Park, but also famous spots including: The Sheshan National Tourist Resort, Happy Valley Amusement Park and Chenshan Botanical Garden. “If the passengers want to have a closer look at the catholic church (Sheshan Basilica), at the top of Sheshan Hill, the pilot will hover over the area for a while,” Zhang Wei, one of the park’s operatives, told Shanghai Daily. 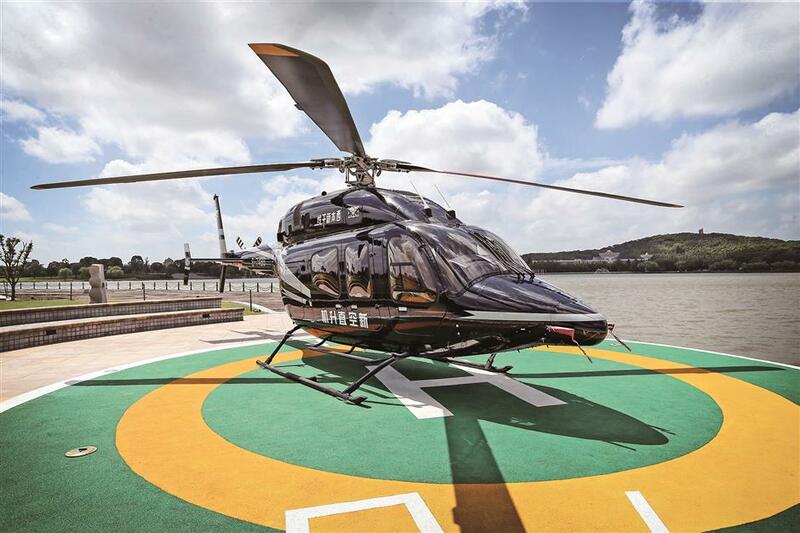 In addition to the local travel route, the helicopter company also operates a long flight route, which can ferry passengers from Sheshan to Tianmu Lake, in Zhejiang Province. New couples that have their wedding in the park can also book a helicopter for a unique debut during the ceremony in September. The helicopter wedding service costs between 30,000 to 50,000 yuan (US$4,559-7,598). Moreover, there is also a pilot training session which can be hired.